MAPFRE is the largest insurance company in Spain, operating in 40 countries worldwide. The first insurance company in Latin America, the company offers a variety of insurance types, including home, car, life, and auto, to individuals and businesses. MAPFRE develops a wide range of services to fit all customers and is available to advise on which services best suit each customer’s needs. The company employs more than 35,500 people and earned €25 billion in 2012, partnering with various companies that sell its services in Latin America, Europe, and the United States. For its partners, MAPFRE provides IT services ranging from server maintenance to infrastructure development and business intelligence. MAPFRE, needing a cost-effective technology platform capable of rapid analysis and rapid deployment of development environments that could also support remote installations, turned to Amazon Web Services (AWS). The company now uses AWS for high-performance computing, risk analysis of customer data, and to create test and development environments for its commercial application. MAPFRE is also using AWS to resolve the EU solvency check issue. The company data is prepared outside AWS into independent units of measure called UMICS, so the customer data is blurred into unrecognizable numeric strings. This data is moved from network-attached storage on MAPFRE’s premises into AWS. 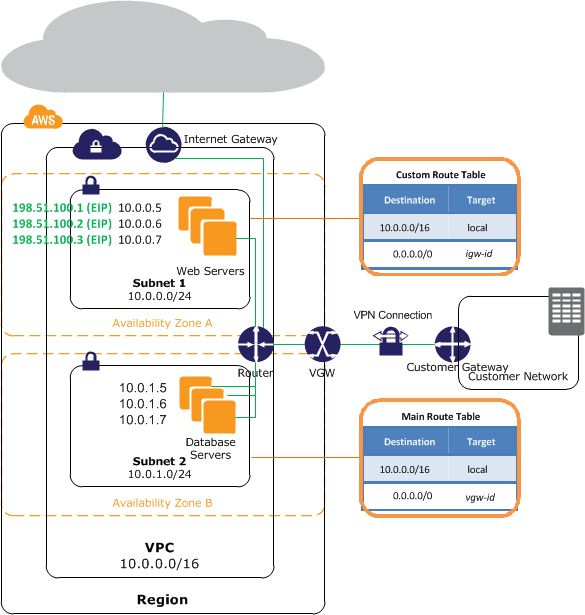 An Amazon Virtual Private Cloud (Amazon VPC) is created and a tunnel opened to move the data to provisioned I/O operations per second (PIOPS) Amazon Elastic Block Store (Amazon EBS) volumes that are shared to the Amazon EC2 cluster. The mathematical process is executed and sent back to the MAPFRE premises using a VPN tunnel. With this solution, MAPFRE has been able to save €1 million by no longer having to reserve a server for this task (see Figure 1). By using AWS, MAPFRE has overcome the challenges it faced in 2010. “Using AWS gives us the ability to spin up a development environment quickly, reduces our investment, and increases our flexibility,” says Diez Perellón. The on-premises hardware investment for 3 years cost approximately €1.5 million, whereas the AWS infrastructure cost the company €180,000 for the same period, a savings of 88 percent. In addition, the company has gained the ability to spin up a supercomputer on demand and shut it down when it’s finished, paying only for what the organization uses—which increases flexibility and decreases costs. AWS made it possible for the IT team to provide installations and support services to partner companies without the need to travel. Diez Perellón explains how this opens opportunities for MAPFRE: “We now have the chance to open a small market, for example, in Central America. We have there very small companies with maybe two employees. Previously, it was impossible to install our servers there, because we spent more money installing the system and preparing the company than the company earned. That wasn’t good business.” In addition, MAPFRE has saved money on this part of its operations. The implementations formerly cost between €30,000 and €150,000 per installation; the cost with AWS is now between €1,200 and €5,000, or as little as less than 1 percent of previous costs. To learn how AWS can help you with High Performance Computing, see our High Performance Computing detail page: https://aws.amazon.com/hpc-applications/.